T oday was Ag Day at the legislature, and the commons was packed with people promoting North Carolina livestock, fruits and vegetables, including watermelons, strawberries, sweet potatoes and even wine. All of these crops need bees to pollinate them; in the case of wine, mead, like that produced at Starrlight in Pittsboro or Honeygirl in Durham, requires a consistent supply of high-quality honey made by healthy bees. But neonicotinoid pesticides, also known as neonics, threaten the bee population in North Carolina and nationwide. These pesticides dull a bee’s memory, as if the insect had dementia, preventing it from finding its way back to its home hive. The chemicals weaken a bee’s immune system, making it vulnerable to disease and mite infestations. Direct exposure can kill the bee within minutes. Introduced on Ag Day, House Bill 363 would limit the purchase and use of neonicotinoid pesticides to licensed applicators, farmers and veterinarians. No longer would the casual gardener be able to buy Rose Defense, Ortho Bug B Gon or Mallet — all brand names of neonic products — off the shelf. Large hardware stores like Home Depot and Lowe’s are already phasing out neonics, but smaller retail outlets still carry them, said Preston Peck, policy director for Toxic Free NC. The bill is modeled on legislation passed in Maryland, Connecticut and Minnesota. 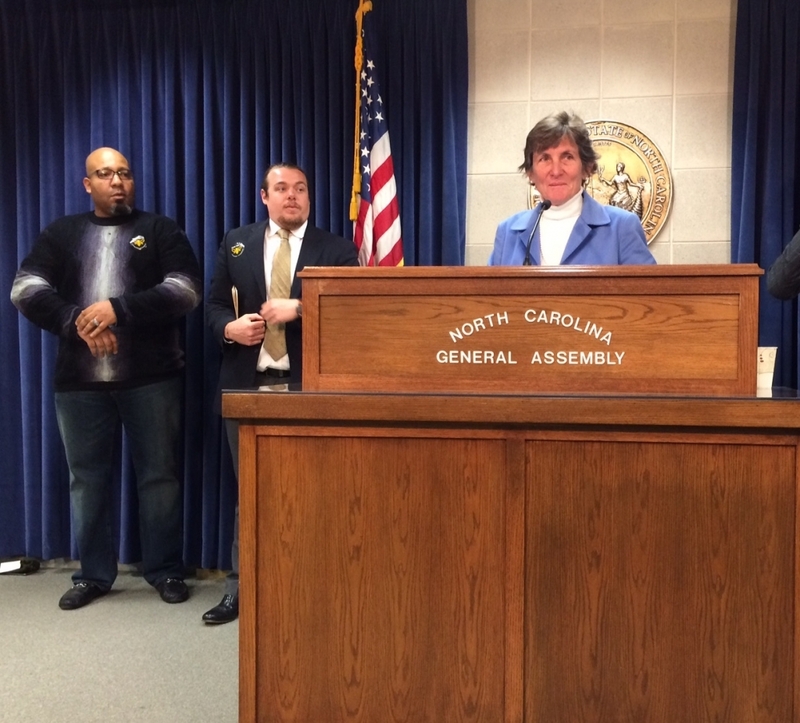 Co-sponsors are Democrats Pricey Harrison and Grier Martin, and Republicans Chuck McGrady and Mitchell Setzer. Former beekeeper and state Rep. John Ager of Buncombe County owns an apple orchard and a blueberry farm. “This is critical right now,” said Ager, a Democrat. “This is my farm’s future. . 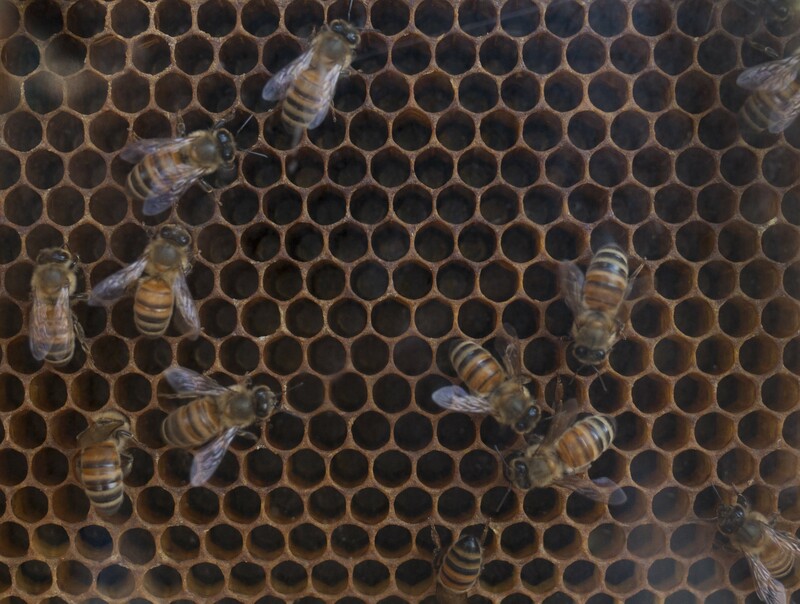 In 2015-16, those repeated physical insults resulted the loss of 44 percent of commercial hives across the U.S. because of colony collapse disorder. In North Carolina, that tally was 41 percent. “That’s staggering and unsustainable,” Peck said. In January, US Fish & Wildlife Service listed the rusty-patched bumblebee as an endangered species. Part of its demise, Peck said, can be attributed to neonics. (The order has not gone into effect, pending the Trump administration’s and Congress’s dismantling of the ESA). And there is a growing body of evidence that indicates these chemicals run off from farm fields and into waterways, where they harm aquatic life. The bill also directs the NC Pesticide Board to monitor EPA studies about neonics and to study whether the state should regulate the sale of seeds coated with neonics. Those seeds are particularly harmful to birds. The state Pesticide Board has had ample opportunity to regulate the sale of neonics. For more than two years, Peck has lobbied the board to exercise its regulatory authority. Over the past six months, the board has heard presentations from scientists and experts on the effects of the pesticides, both on pollinators and aquatic life. It also learned that NC Department of Environmetnal Quality doesn’t test waterways for the pesticide. Nonetheless, just yesterday the board again punted the issue, voting to take no action.